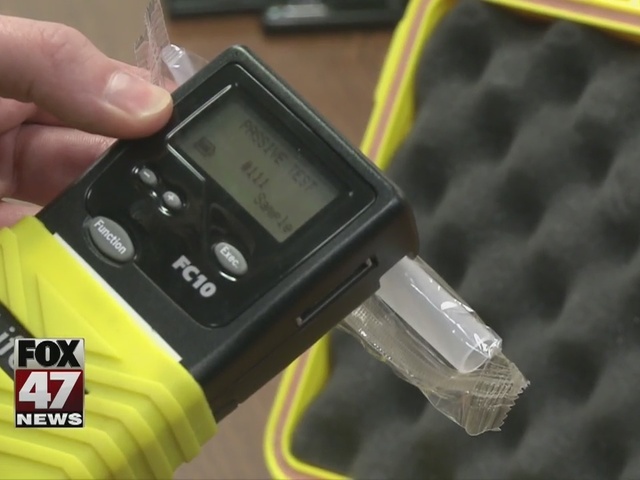 "The person will blow into one end of the tube, it goes through and the system takes a sample of that breath to analyze what their blood alcohol content would be at," explained Deputy Jake Newton of the Ingham County Sheriff's Office. And, if it's at 0.08% or higher, you're going to land a spot behind bars. "Their driving is dangerous, it can cause injury to other people or themselves," Deputy Newton said. "Their reaction time is going to be a lot longer than a normal person's reaction time, higher risk taking or speeding, that kind of thing." That's why he told us it's a good idea to lower the blood alcohol limit to 0.05%. "You know, anything that puts the general public's safety in the forefront, we're in favor of," Deputy Newton said. While Defense Attorney Patrick O'Keefe understands the safety risks, he told us lowering the limit is a little much. "If you lower the level to 0.05% without having relevant supporting data," O'Keefe explained. "Then, you're essentially admitting that your government has absolute power over everyone and everything and then the question is - how low do we go?" Plus, he said, everyone responds to alcohol consumption differently, so many may be convicted even thought they're not impaired - a problem for police. He explained, "If you perform swimmingly on a field sobriety test, that puts them in a bind and then they have to decide, am I going to just let this person drive or am I going to potentially take this person to jail not knowing if they are under the influence?" A sentence he said may scare many people into never picking up a drink again. "For a lot of people who value their careers and just flat out don't like taking chances, they're going to look at that and say if I drink at all I might have one," O'Keefe said. The National Transportation Safety Board told us that the goal isn't to get people to stop drinking, rather to have them choose a sober driver or grab a taxi. That way, there's absolutely no risk on the road. The Vice Chairman said nearly 10,000 people die each year from alcohol-impaired driving and thousands are injured in those crashes. So, the NTSB added a lower blood-alcohol limit to its 2016 Wanted List in hopes to make the change happen. And, the Agency is hoping to get cars to help keep drunk drivers off the road. The plan is to really push the development of in-vehicle detection technology like breathalyzers connected to the ignition.